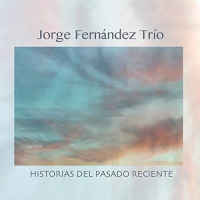 Jorge Fernández was born in México city, he studied at Escuela Superior de Música -ESM (INBA, Mx)- He studied first classical percussion and then he achieved his bachelor degree in Jazz Performance for drum set/percussion. He received a full scholarship to study a jazz certificate at The University of Texas in Brownsville. He took a jazz workshop in New York city at the Center of Improvisational Music (CIM). JF has participated in Masterclasses with musicians like: Dave Weckl, Antonio Sánchez, JIm Black, Tom Rayne, Wynton Marsalis, Mark Helias, Andy Milne, Chick Corea, Gary Burton, Peter Erskine, Steve Gadd, Oscar Stagnaro, among others. TRANSLOCAL TOUR 2014 touring in different cities of Germany FIMU 2013 (Belfort, Fr). Encuentro Iberoamerica de Teatro (Sao Paulo, Brazil) Corpus Christy Latin Jazz Festival (Tx, USA) Bronwsville Latin Jazz Festival (Tx, USA) Library Congress of Washington,D.C. (USA). Festival Quimera (Metepec, Mx) Festival de Jazz de los Cabos (Los Cabos, Mx) Jazztamfestival2011 (Tam, Mx) Festival E-jazz 2011 (Pue, Mx) Jazzfest 2005 (Pue, Mx), among many others. 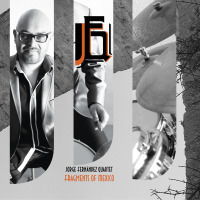 JF has played with amazing international musicians, among them: Rudy Mahall (Ger), Sebastian Gramms (Ger), Francisco Téllez (Mx), Remi Álvarez (Mx), Sam Newsome (USA), Dave Ellis (USA), and others. 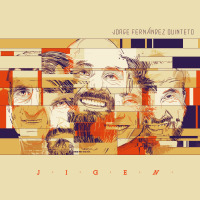 JF is a composer, arranger and drummer of: THE PIANO AND DRUMS PROJECT, WONG GANG, FAS TRIO, JORGE FERNÁNDEZ QUARTET and JORGE FERNÁNDEZ J.I.G.E.N. QUINTET. Being also professor of jazz drum set and percussion´s ensemble at Escuela Superior de Música (INBA), and professor of harmony, ensemble and drum set at Tiempo School of Music. All About Jazz musician pages are maintained by musicians, publicists and trusted members like you. Interested? Tell us why you would like to improve the Jorge Fernandez musician page.